We know that it’s winter and the temptation is to go longer between grooming appointments during the cold months, but it is just as important to maintain a regular grooming schedule with your pet now as it is in the summer. A common misconception is that getting your dog bathed in the winter causes dry skin, and we just want our clients to know that couldn’t be further from the truth. Just like us, dry/flakey skin is caused by a combination of the cold temperatures, wind, and interior dry air from our forced air heaters. They can also be irritated from the dampness of going out in the snow and exposure to sidewalk salt on walks. A nice moisturizing bath and conditioning treatment can make your pet feel so much better! Long-coated breeds are also more prone to matting in winter because they are usually left with more coat for warmth. Then when they go out in the snow and get damp it can cause tangles if they aren’t thoroughly combed through every day. A matted dog can’t stay warm even with the extra fur as mats work against the dog’s natural insulation. They hold moisture to the skin causing chafing and hot spots, and prevent the coat from trapping the warm air radiating from their bodies to keep warm. Mats also prevent the distribution of their natural skin oils which help their skin from drying out. We offer partial grooming appointments so your dog can have a thorough brush out and trim around the face, feet and sanitary areas without cutting hair from the body and help maintain the coat to keep them in good condition throughout winter. Finally, any dog needs regular nail trimming. The ice and snow covering the ground and sidewalks (not to mention subzero temperatures that make going outside a limited venture) means your dog can’t wear down their nails as well on their walks. Long toenails also prevent traction on slippery surfaces and affect their foot structure and how they walk which can cause them pain, especially in older dogs. We recommend getting your dogs nails trimmed at least on a monthly basis (and more often if they are more overgrown). We do walk-in nail trim appointments for $10, though we recommend calling ahead to find out what time works best in our day to day schedules. To find out about appointment availability, give us a call! Grooming Tails services offer more than just a high level of cleanliness or tip top shape appearances to your pet. 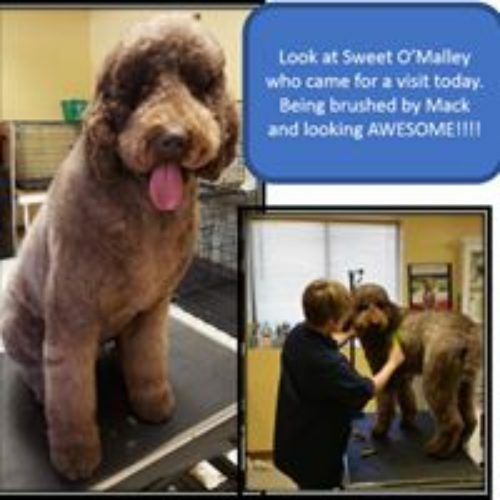 While your pet is being groomed we also help to maintain both your pets physical health as well as the pets appearance. What does this mean? Glad you asked! 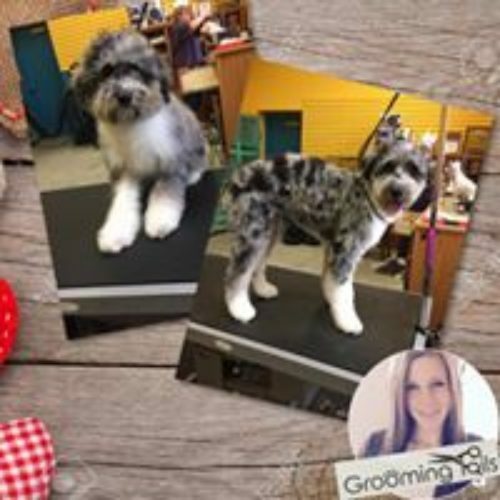 During the grooming process, the groomers are able to check your pet for any abnormalities that can include skin issues such as ticks, fleas, dry skin or fungal concerns. We also check the nails, ears and eyes over as to make sure there are no signs of infection or inflammation. Did we mention we also offer Feline Grooming services exclusively at our north location?! Ask for our groomer Emily to help you with any of your feline grooming needs. As State Law dictates Proof of Rabies vaccine is required before the time of any grooming service. These can be brought in personally or faxed to either of our Grooming Tails Location.